Play kitchens are a great toy that can be enjoyed by children of various ages and are a great way to stimulate their imaginations whilst having heaps of fun! 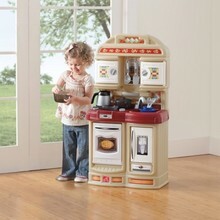 In this post we provide you with a guide to the Step2 play kitchen range on our site. Step2 has long been the producer of some of the best ride-on toys around. They constantly seem to hit the right notes when it comes to creating a brilliant ride on toy for children to enjoy. 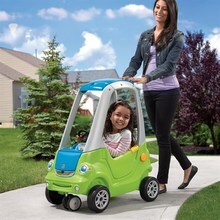 This year has seen the introduction of brilliant Step2 Easy Turn Coupe! In this post we look at what this great wagon has to offer.